Israeli police ordered outgoing UNRWA Commissioner-General Karen AbuZayd to leave an East Jerusalem home on Thursday during her last official visit as the head of the relief agency. 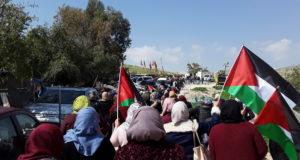 “On this day, and in this place, I wish to remind the international community of the unfinished business in Sheikh Jarrah and elsewhere in the West Bank,” she said. Members of the Al-Kurd family, who are fighting a court battle to keep their home from being taken over by Israeli settlers, told her, “What are we to do? International Law should have helped us.” As she spoke, settler watched nearby. 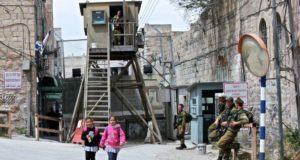 “While the international community is committed to the goal of establishing two states, with Jerusalem as a shared capital, it is difficult to imagine how that outcome can be achieved in light of the systematic settlement activity and violations of basic human rights currently afflicting the Palestinian community in East Jerusalem. Israeli army soldiers were also on the scene, the reporter added. The forces also dispersed journalists from the area. AbuZayd had the brief opportunity to speak with Maher Ghawi, another Jerusalemite affected by Israel’s forced eviction policy. Full text of Karen AbuZayd’s speech can be found here.